Various groupings of Jovian moons with the newly discovered ones shown in bold. The 'oddball,' called Valetudo after the Roman god Jupiter's great-granddaughter, has a prograde orbit that crosses the retrograde orbits. Credit: By Roberto Molar-Candanosa, courtesy of Carnegie Institution for Science. 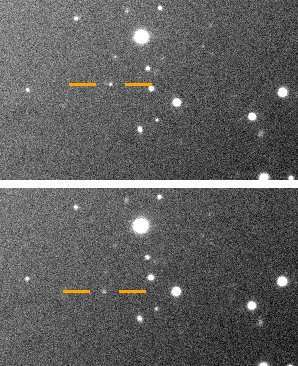 A team led by Carnegie's Scott S. Sheppard first spotted the moons in the spring of 2017 while they were looking for very distant Solar System objects as part of the hunt for a possible massive planet far beyond Pluto. 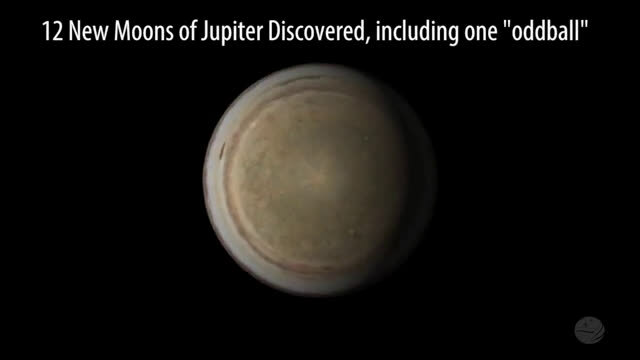 12 new moons of Jupiter were discovered, including one so-called 'oddball.' See what makes its orbit so strange. Credit: By Roberto Molar-Candanosa, courtesy of Carnegie Institution for Science. "Our other discovery is a real oddball and has an orbit like no other known Jovian moon," Sheppard explained. "It's also likely Jupiter's smallest known moon, being less than one kilometer in diameter". May 2018 recovery images of Valetudo from Carnegie's Magellan telescope's at our Las Campanas Observatory in Chile. The moon can be seen moving relative to the steady state background of distant stars. Jupiter is not in the field but off to the upper left. Credit: Carnegie Institution for Science. Because of their sizes—one to three kilometers—these moons are more influenced by surrounding gas and dust. 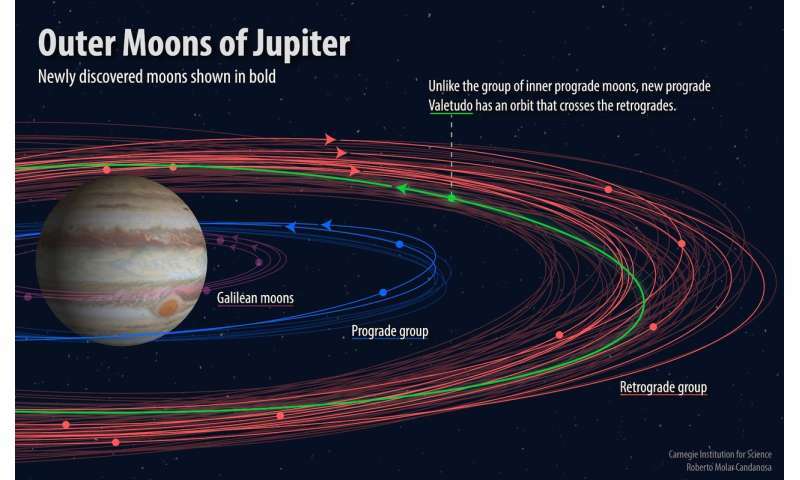 If these raw materials had still been present when Jupiter's first generation of moons collided to form its current clustered groupings of moons, the drag exerted by any remaining gas and dust on the smaller moons would have been sufficient to cause them to spiral inwards toward Jupiter. Their existence shows that they were likely formed after this gas and dust dissipated.